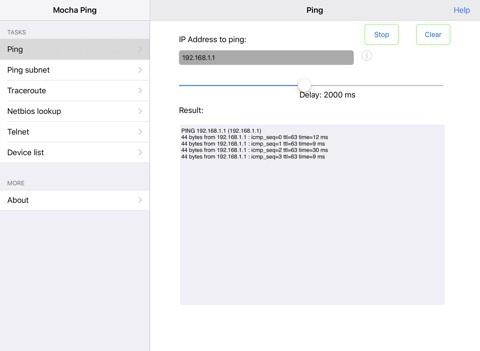 Network Ping is a software test tool for maintaining and debugging network problems on a local area network (LAN). 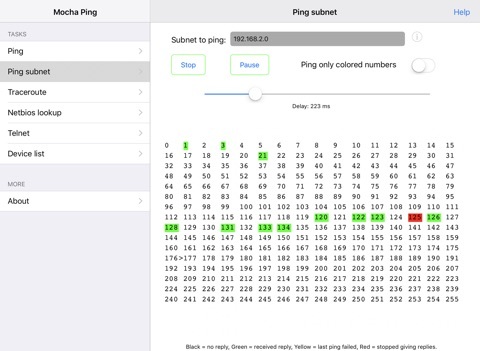 Get an easy view for a full subnet on a single screen. 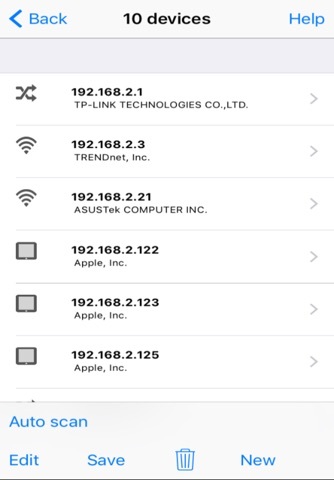 Look at the screen to the left displaying the status for devices 192.168.2.0 - 192.168.2.255. Green and the device is working, yellow, there is a problem, and red, the device is not any longer on the LAN. 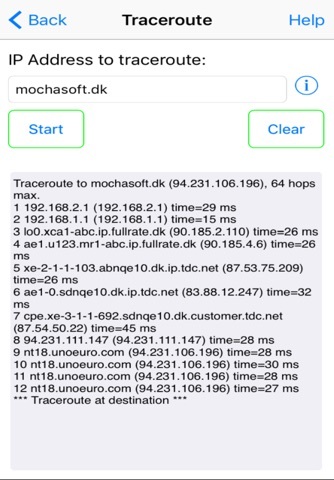 Need telnet access to a router, no problem, a Telnet console application is also included. 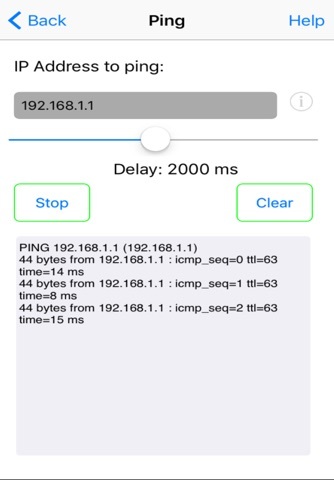 - Subnet ping is not interrupted after 255 ping request. 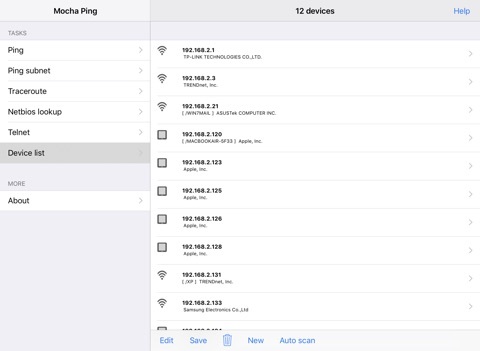 - scanning for devices on a network could fail.